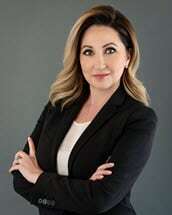 Founded by experienced attorney Danielle Thompson, our law firm is dedicated to providing the highest level of service possible for our clients. Understanding how overwhelming and intimidating it can be to navigate the legal system, our attorneys approach our clients with respect and compassion to devise solutions that achieve their goals. Having once served as an educator for the Lafayette Parish School Board, Mrs. Thompson, seeks to educate her clients about their available options and answer all of their questions regarding their cases. Along with her associate, she and her law firm have successfully helped numerous individuals and their families resolve their tough and emotional legal challenges. If you have a need related to one of our practice areas, you can trust The Thompson Law Office, LLC to provide unmatched service and counsel dedicated to securing your best interests. Our law firm offers $50 30 minute consultations as a convenient, no-risk method for you to determine how we can best serve you.